Where my fellow boss ladies at? 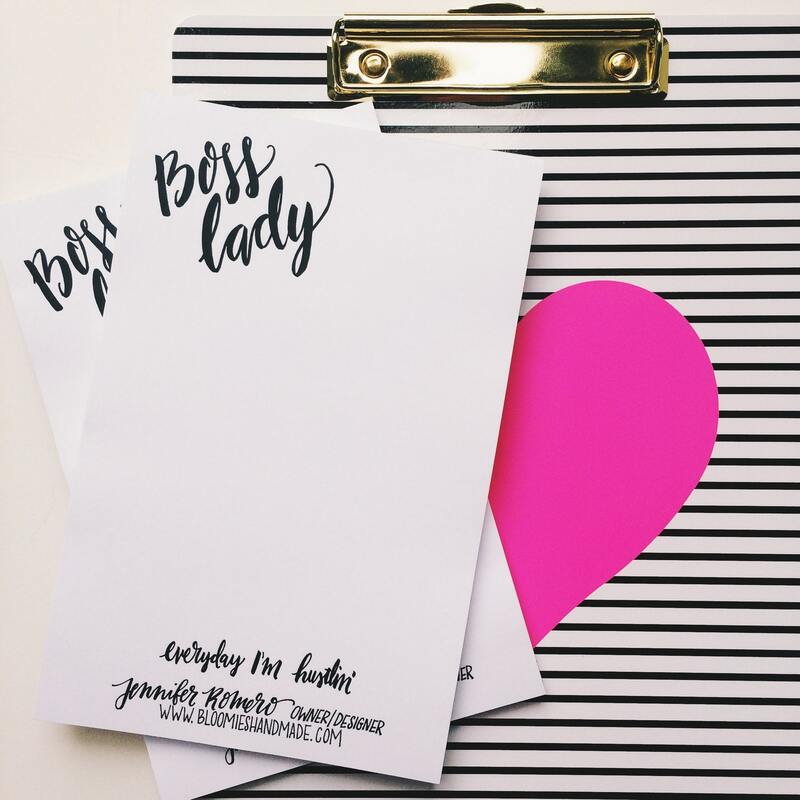 Boss lady, lady boss, girl boss, mompreneur- whatever name you go by this is the perfect notepad for jotting down those to do lists (and feeling like you're getting your hustle on!). As all of us small business owners know, and just like the song says, 'everyday I'm hustlin''! 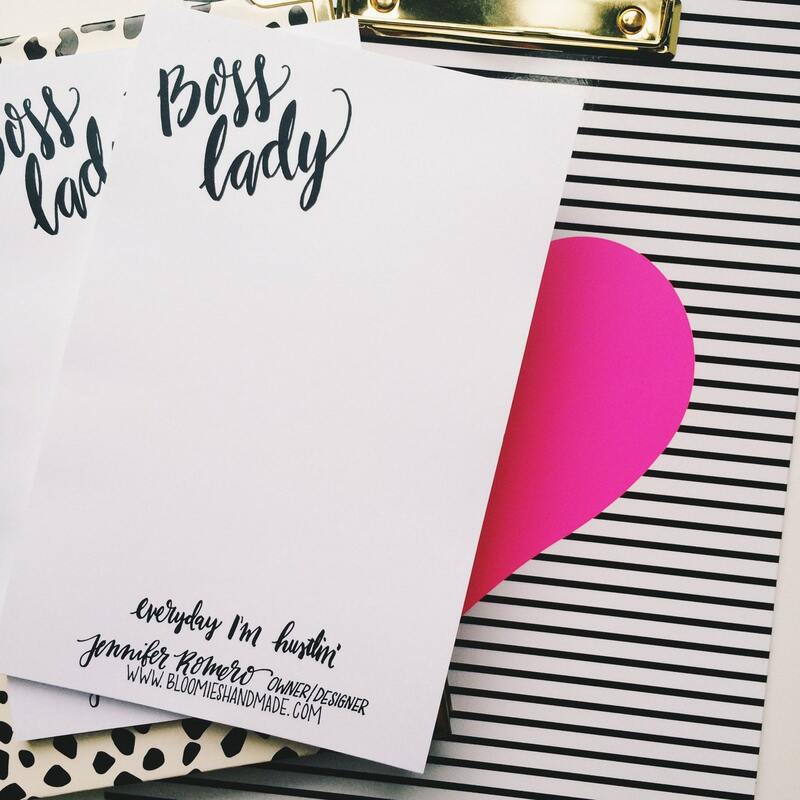 This listing is for a CUSTOM set of two Boss Lady notepads. Add your name, website, email, instagram handle, whatever you'd like! Up to two addtional lines of text. If you're worried that what you want written is too much, please convo me before purchase to make sure it will fit! The perfect gift for every boss lady and small business owner. We work hard for our businesses - make sure your name and info is easily accessible on your correspondence!